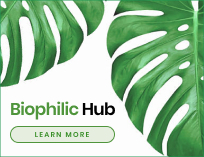 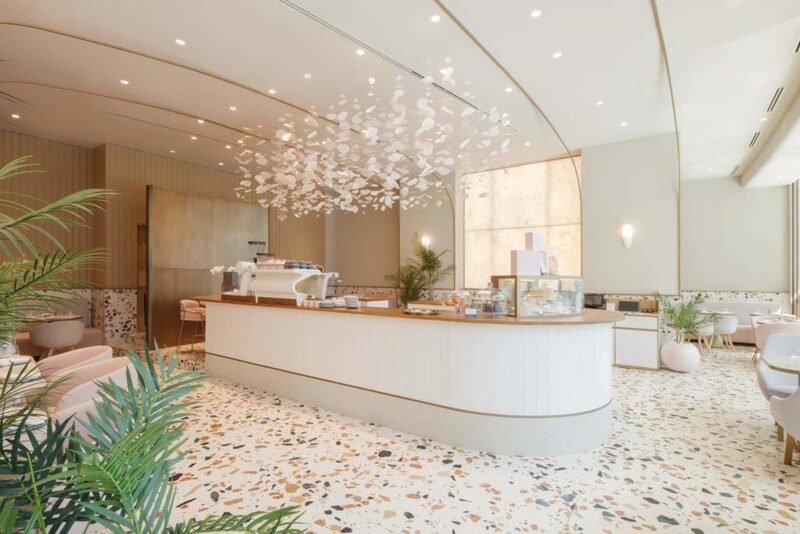 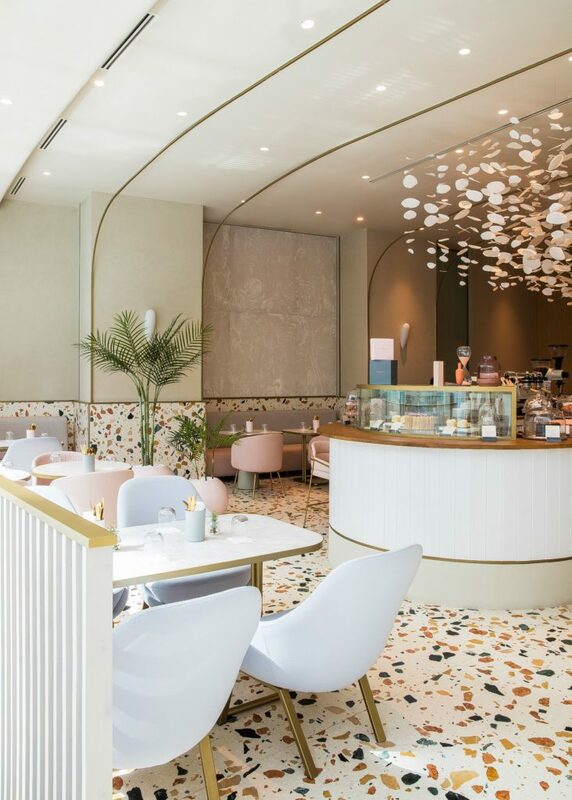 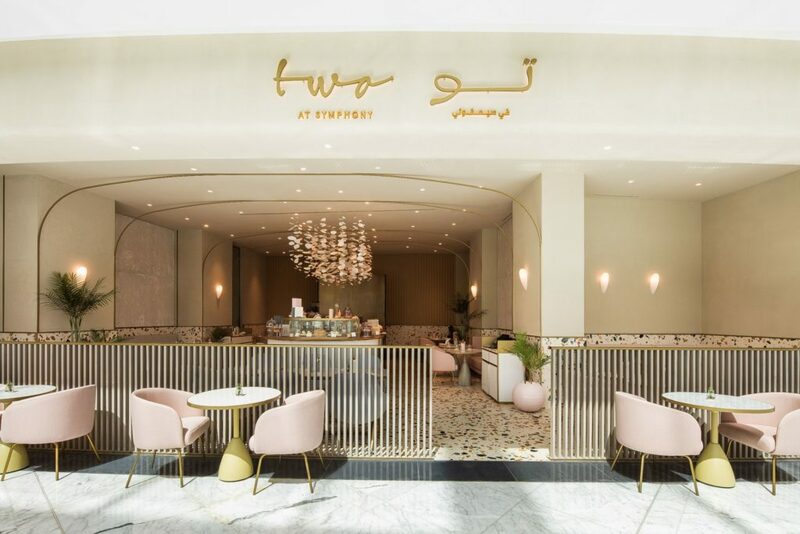 Two at Symphony is the F&B extension of luxury fashion boutique, Symphony, which was created by two Emirati sisters, and transitions spatially from a boutique store to a casual yet contemporary cafe. 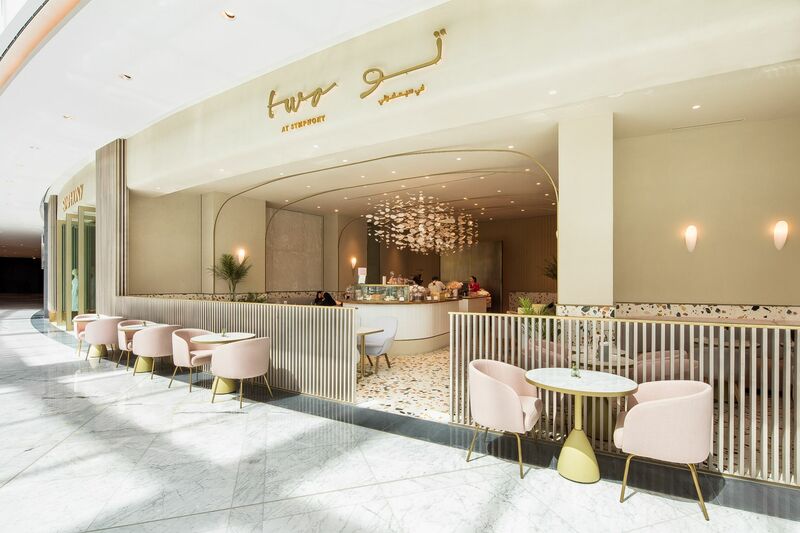 Located in The Dubai Mall Fashion Extension, the open entrance welcomes guests with captivating views of the café‘s interior. 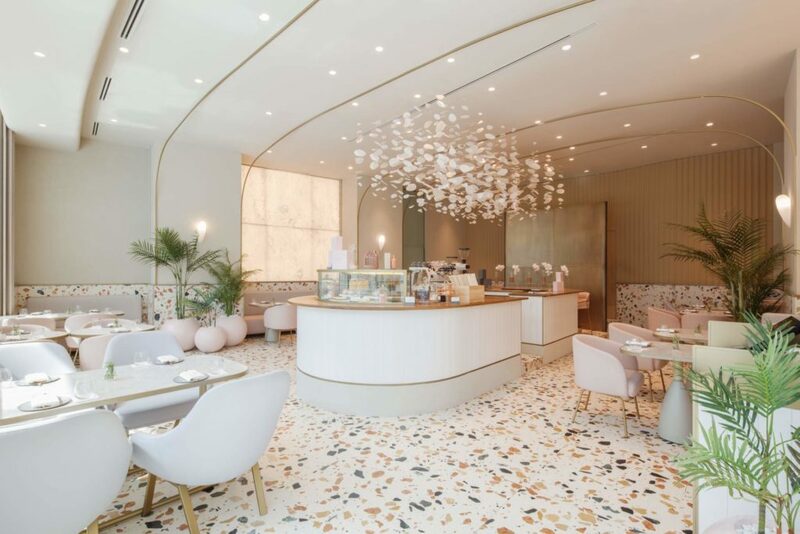 The ambience was designed to be elegant yet approachable, with the interior inspired by a modern day ‘secret oasis’. 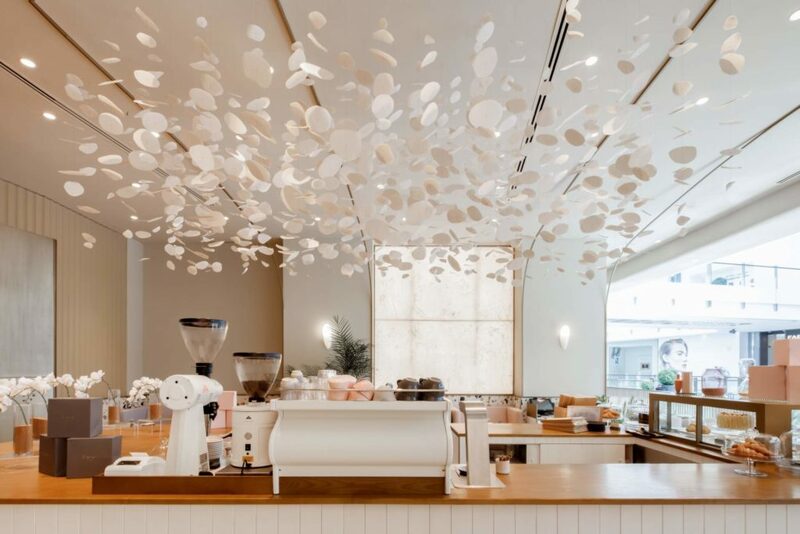 Designed by H2R, the concept is aimed at bringing a sense of tranquility, giving customers a handcrafted feel with hints of luxurious details. 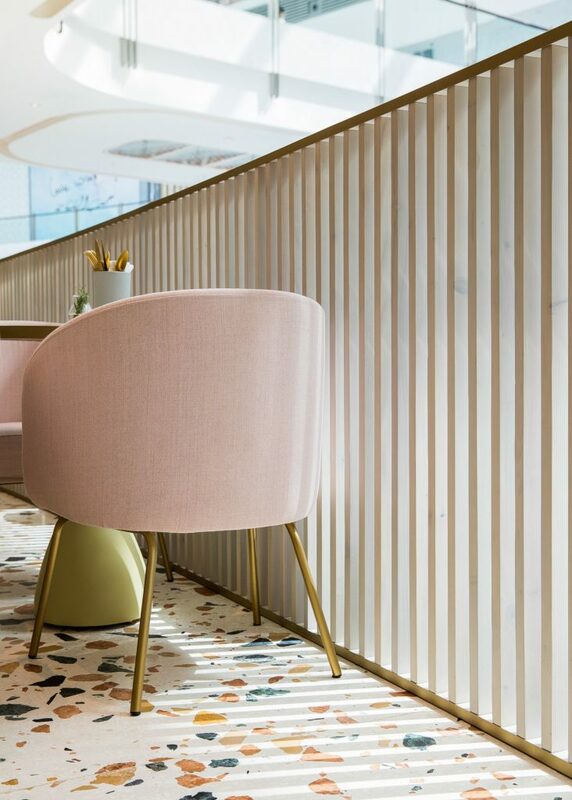 As guests enter the cafe from the Symphony store, subtle differences in textures and flooring create a gentle demarcation. 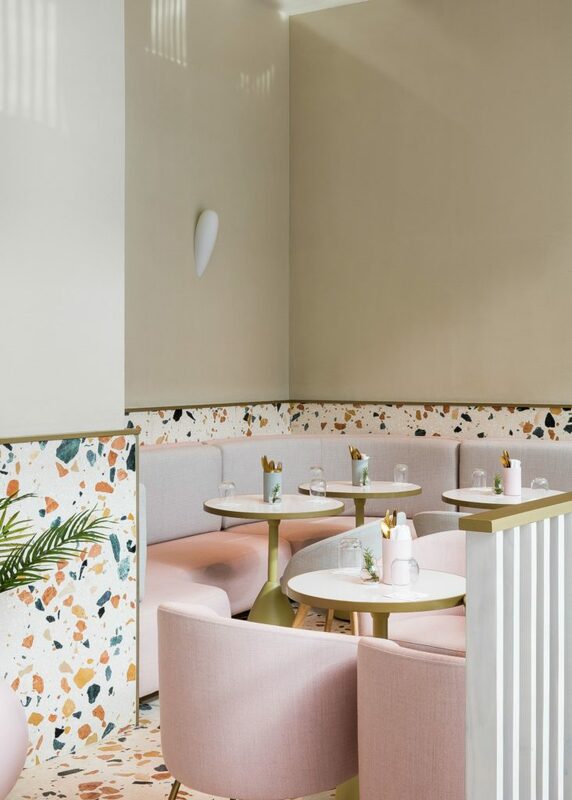 Soft pastel tones emphasise the openness and movement throughout the space, from the structural details to the furniture selection. 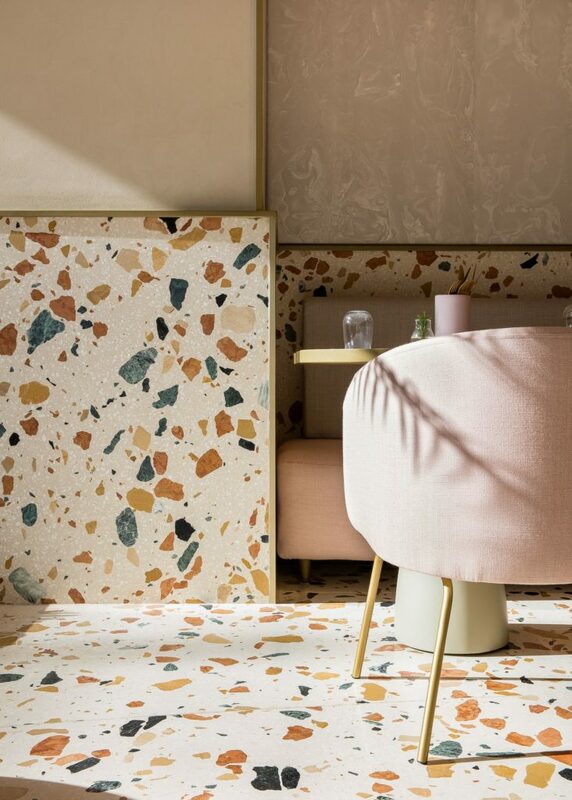 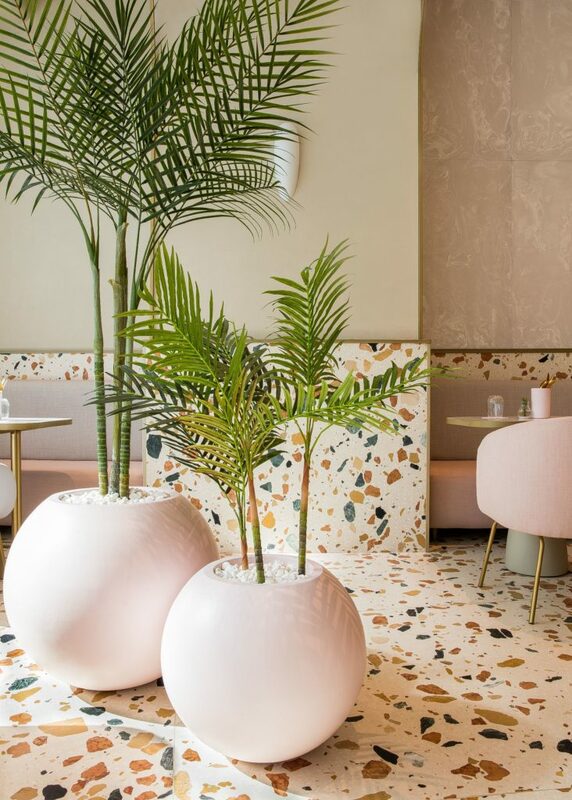 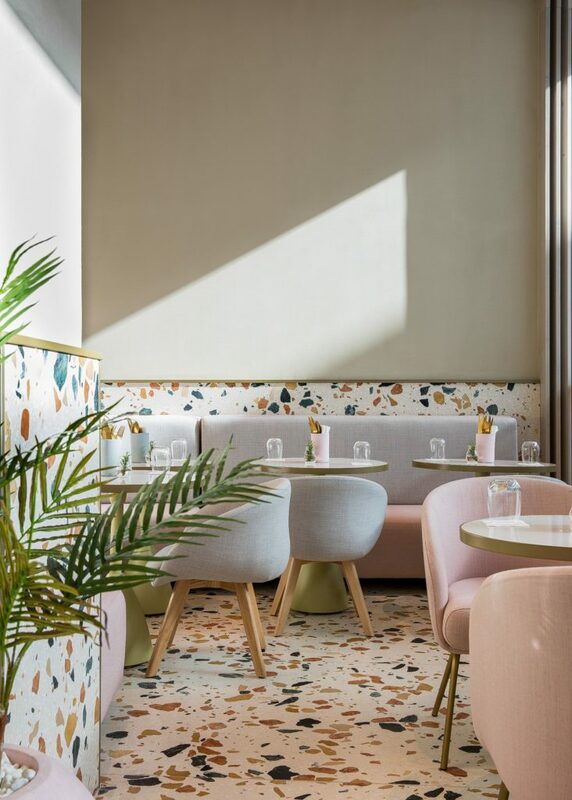 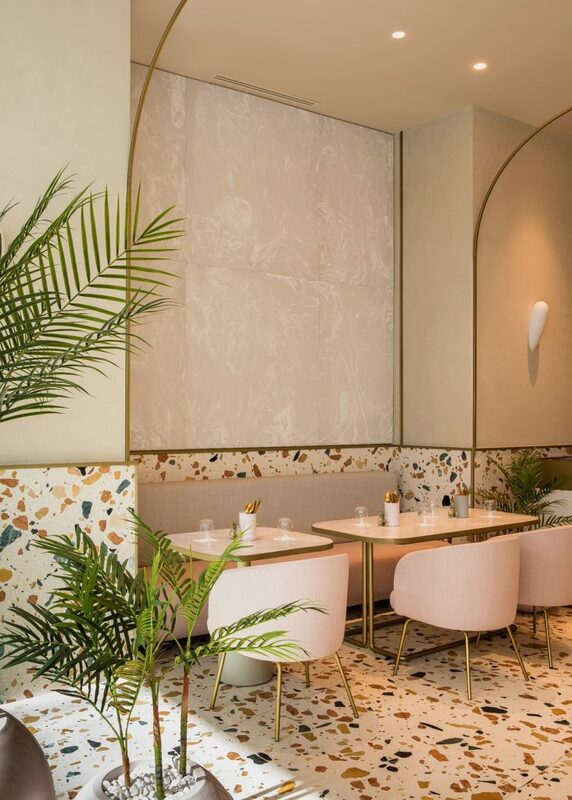 Striking features, such as the unique Italian terrazzo slabs, bring a fresh yet delicate feel to the interior, whilst simultaneously retaining a timeless elegance with the use of white marble and brass accents. 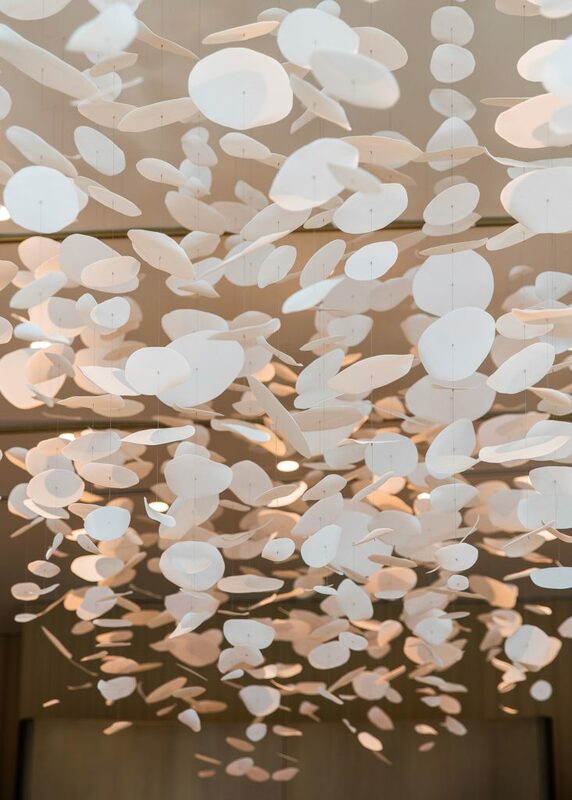 A central bar is the focal point of the design, featuring illuminated petals that hover above, referencing leaves falling in the wind.